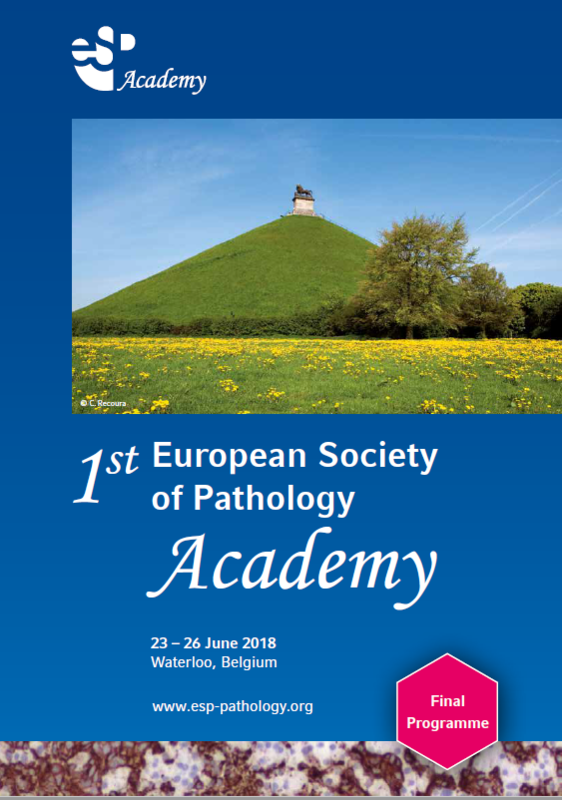 The European Society of Pathology (ESP) is proud to establish the ESP Academy devoted to the promotion of applied and translational scientific research in the field of human pathology. ESP Academy’s mission is to advance research excellence and innovation among young pathologists and scientists in the field of human pathology. ESP Academy Fellows will engage with mentors and peers to explore scientific concepts, investigate, and solve problems. The Academy is an interactive four-day workshop designed to support early career pathologists by promoting training, encouraging collaborations and by providing a forum to share experiences with senior world leading researchers in pathology. The biennial ESP Academy competition identifies the best original pathology-relevant research submitted by the best junior Pathology researchers from each European country. The winning projects will be selected based on originality, methodological quality, and clinical relevance. They will represent the very best new research from across the field of human pathology, and combine a high degree of technical objectivity with a commitment to identifying relevant pathology implications. Admission to the Academy is by competitive application based on the candidate’s curriculum vitae, his/her clinical and research experience, significance of the proposed project and level of support from his/her institute. The deadline for submission of applications is 12th January 2018 by 16:00 (4 pm) CET. Research projects may address all aspects of human pathology. The 2018 ESP Academy will take place 23rd – 26th June, Waterloo, Belgium. The 2018 research competition focuses on original projects that make a significant contribution to our understanding of human pathology. Have a research doctorate (PhD), a doctoral degree in medicine (MD) or an equivalent scientific qualification. All submitted applications will be evaluated by the Reviewing Committee chaired by the ESP President within 10 weeks after the deadline. The awardees will be invited to attend the Academy and present their scientific projects during the four-day workshop. All participants will be invited to stay as long as possible to enable intense discussions and interaction between the renowned scientists and the junior pathologists. Accommodation and travel expenses will be covered by the ESP for all participants according to the policy set out for this programme.